Just hearing David Berry describe music is an ethereal experience. Hearing him actually play the piano? Even more so. 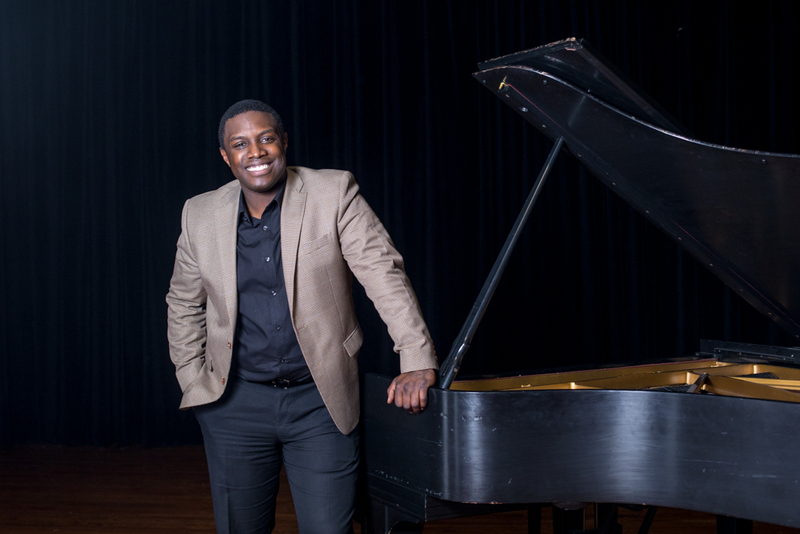 The newest addition to the Eastern Mennonite University music faculty will perform Saturday, March 24, in Martin Chapel at 7:30 p.m. The recital is free and open to the public, and a freewill offering will be taken to benefit the music scholarship fund. David Berry tours regularly and has won numerous piano competitions. He holds a doctorate from The Juilliard School. 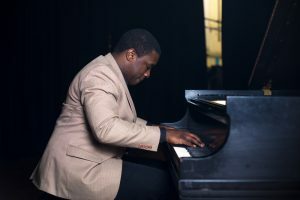 Berry earned his doctorate from The Juilliard School in 2011, after graduating from the University of Rochester Eastman School of Music. 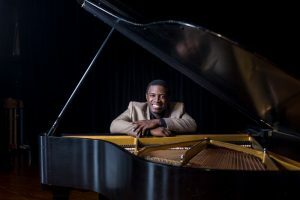 A native of Syracuse, New York, and winner of international piano competitions, Berry has performed with the Hudson Symphony Orchestra and in Carnegie Hall, and was a featured soloist at the Juilliard School’s Focus Festival. Berry will also perform Robert Schumann’s “Carnaval,” a collection of 21 short pieces that picture a masked ball and is “full of youthful imagination.” In his program notes, Berry writes that the piece “incorporates a musical thread” that is a “word game” based on the German letters for musical notes in the piece, which represent the composer’s and other people’s names. David Berry’s love of music has its roots in Baptist hymnals, blues guitar, Beethoven and Coltrane. Growing up, Berry was simultaneously immersed in two different musical worlds. During the same time, from age five until he went to college, he studied under classical piano teacher George Skafidas who, he said, was “obsessed with Beethoven.” That passion soon had him hooked – “I was infected,” he said. He listened over and over to a cassette tape with “The Story of Beethoven” on one side and the Emperor Concerto on the other, and would visit the library for biographies about composers. But he was learning much more from Skafidas than just intellectual understanding of music and history. Though the lessons were his parents’ idea initially, he said they never had to force him to practice. And because his mother homeschooled him from third grade all the way through high school, Berry had unique opportunities to expand his exposure to classical music, such as attending mid-day recitals at the local museum – and “early on,” he developed deep appreciation for not just Beethoven’s works but also those of Schubert, Chopin and other composers. “My parents did a really good job” he said, of helping him and his two younger siblings “find what are our passions and being creative in how they put that into our education.” One sibling is now pursuing a doctorate in organic chemistry, and the other works in information technology. Then, in college, he found yet another musical element. Skafidas wasn’t the only teacher who shaped Berry’s approach to music – and now teaching. Those teachers, he said, “thought beyond the page, thought beyond the syllabus, and captured my heart with how powerful, deep, moving, convicting and expressive music can be – and really affected me and informed my approach in teaching music,” he said. For years Berry traveled as a performer, in part with Core Ensemble, which combines chamber music with theatrical shows based on historical figures. Now teaching, along with his continued performing, is a completion of his interests. When he found EMU online, several things stood out: the university’s emphasis on service, a department where he could pursue his wide range of musical interests rather than be restricted by specialization, and the cross-cultural study program. It did – and has proved the right family move, too. His wife Jennifer now teaches kindergarten in a Harrisonburg school, their son attends Eastern Mennonite Elementary School, and Berry’s parents, who had been thinking of retiring to Virginia from New York, seized the day and moved to live just 10 minutes from campus. This is absolutely stellar!!! Great to hear about your passion for such a wide breadth of styles and composers. When you first played at our church, I sat up tall and said, “WOW!” Where did that guy come from? Now I know. Welcome to EMU. And many thanks for mentoring and teaching a wonderful student who is living in our house this semester! She is a awesome pianist, is awed by you. And rightly so! Thank you so much for your kind remarks! And I am very glad to have her as a piano student this semester. Blessings this Easter! I’ve passed this along to the Music Department at Conrad Grebel University College. A concert by David sometime? ?